Stephen Nover is proud of his record as an NFL handicapper. In 20 years of betting football, he has had 18 winning seasons, punctuated by a #1 finish in 2012. But even when he’s not finishing in the top 10, he’s still winning more than he loses. And when you get right down to it, that’s what you want from a sports handicapper. Making big profit in a single season is great, no doubt. But if you’re looking at betting as an investment, long-term value is just as important. Stephen understands this as well as anyone – he has taught classes on sports betting at UNLV. 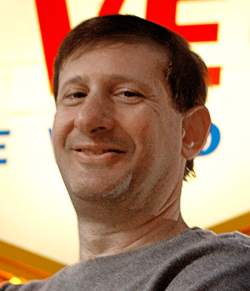 He also covered sports gaming for the Las Vegas Review for 14 years, and has written three books on the topic. And now he has a successful career as a handicapper spanning two decades. So let’s talk numbers. If he knows his stuff this well, there should be some numbers to prove it, right? How about a #1 finish in basketball for 2014-2015, earning over $4,200 in profit? How about an all sports finish in 2012 that placed him in the top five handicappers on the site? Or better still, how about an all sports streak dating back to February 2015 that has brought in $5,347? That is one of Stephen’s more impressive streaks. Even better is his 58% basketball streak that has earned over $6,800 since December 2014. So in case you thought Stephen could only bet football, think again. He brings in solid profit in several sports. It’s hard to find a blind spot on his record.